Nashville stonework stonework, stonecraft, and masonry Nashville area. 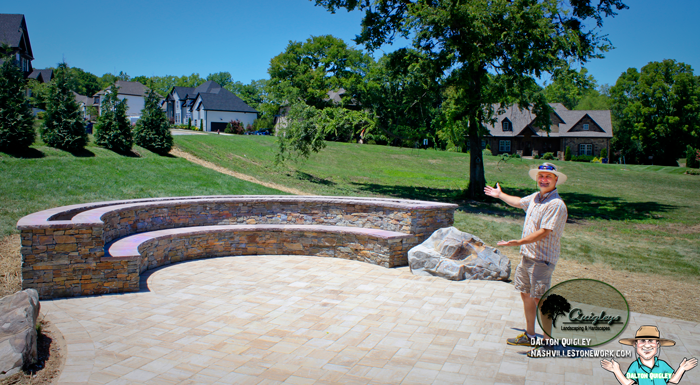 Nashville stonework site all types of stonework, stonecraft, and masonry, Nashville area. Quigley’s Landscaping and Hardscapes has been performing stonework projects for many years and will be using this site to house images from those jobs as well as this being a place for clients to see other options in stoneworks. Beautiful Stone Bench / Planter. This stone bench was designed into our hardscape design for this client. Beautiful natural stone cap and veneer make this a show piece. The qualities of stone to the human mind are undeniable, solid, steady, rich, colorful and stable. Adding natural stone to any space adds a sense of permanence that makes you feel like the world around you can be counted on well into the future, I built a stone mailbox at my home and instantly neighbors began commenting on how it impresses a presence on my home. Simple landscapes and man made materials used around the home each have a different mental feel so it depends on what you are going for. A boulder will add a sound, solid, imposing feel, flagstone and sandstone patios add a natural rustic relaxed feel to a space while diamond cut stone adds an upscale intellectual impression. Limestone columns and drystack walls call out from the past to say we cherish our history while thin stone veneers stop us in our tracks with rich color and style. Quigley’s masonry can help you achieve the feel you are going for whether it is renovating an existing structure or starting fresh from a design we helped you make. Sometimes we even use existing flagstone that was set in other materials like sand or limestone re-envision and recreate it into the patio, or wall of your dreams. 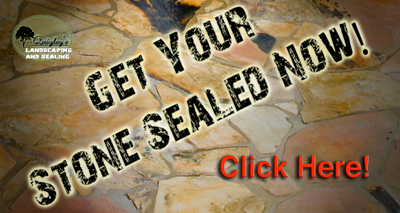 We can take your existing flagstone that was dry laid on sand or crushed limestone and make it an amazing mortared surface. We can even match the mortar in the brick or stonework of your home. It is also very likely that we will be able to match your flagstone or other stones with our local suppliers. 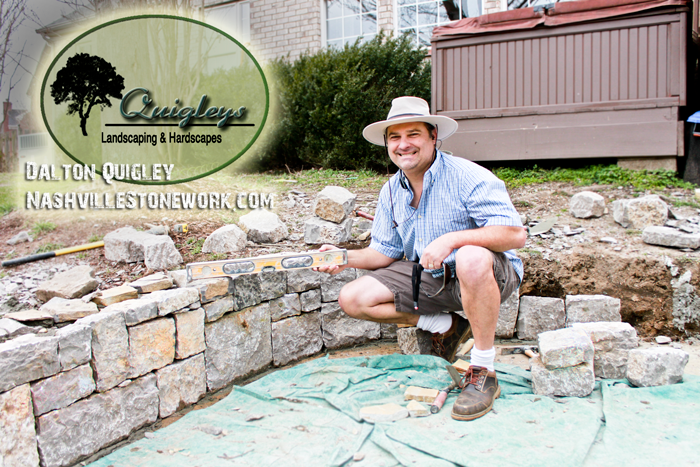 Welcome to a Quigley’s Landscaping and Hardscapes website. We take pride and joy in showing you our stonework. Areas we service with stonework. Green Hills, Belle Meade, Forest Hills, Crieve Hall, Inglewood, and Bellevue. What we want you to do now – Contact Us on our Contact page. 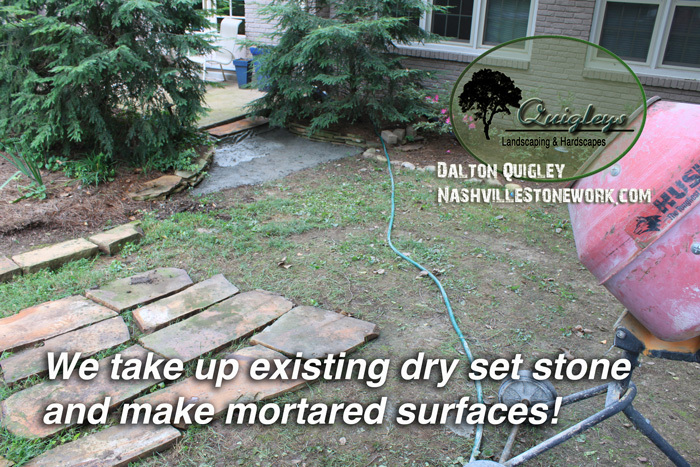 Call Quigley’s Landscaping for Stonework 615-715-8216. Thank you.